"... Together their Maya date is a whirlwind of activity; sounds rattle and moan in a fog of urgent details. Their lightning-quick attacks provoke a firestorm of spontaneous devlopment and continual realignment. The excitement is palpable." 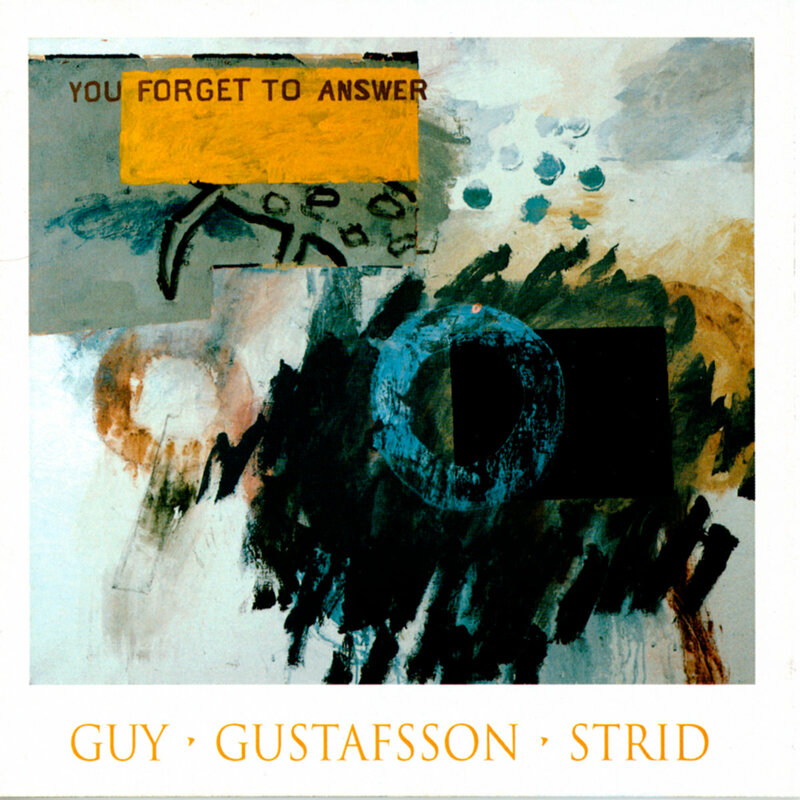 Guy, Gustafsson, and Strid make their music difficult to capture with tools as blunt and lethargic as words. One is tempted to lunge at it, but it just wriggles away. The trio's sound is an accumulation of precisely timed movements: elements of steady determination, strategy, even calculation, but also, once the move is started, a force of lightning quickness and tensile strength. Nothing hesitant, nothing unsure. This is frogging music, no doubt in my mind. A form of improvising that requires the same kind of deep emphatic relations. To communicate at a level not just reactive – the brutality of scaring frogs into nets, or of simple question-answer improvising – but truly emphatic. To visualise the fly through the frog's eyes. You Forget To Answer: perhaps there's no response because once that deep empathy occurs it pre-empts conventional communication routes. If we both ask the same question at the same time, who's supposed to reply? In its temporal seizures, Barry's bass at times seems to anticipate what the Swedes will do, like those rare outings in which you see the frog about to jump and get there first; you know before he does, and he literally hops into your hand. The emphatic circulation runs through many other networks: Mats’s uncanny ability to grasp and redirect energies, Raymond's radiant projection of a center of gravity.